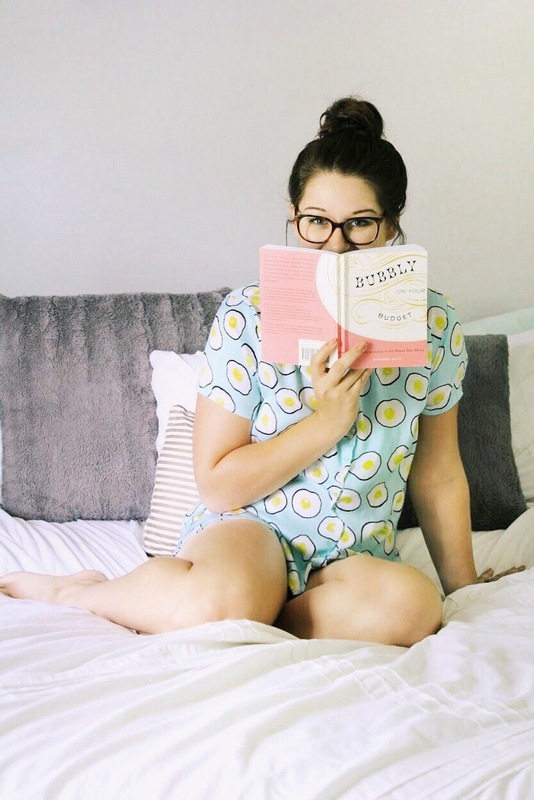 I'm a sucker for a cute pajama set. Like, seriously, I have to control myself in the sleepwear section and I probably purge my own drawer at least twice a year. 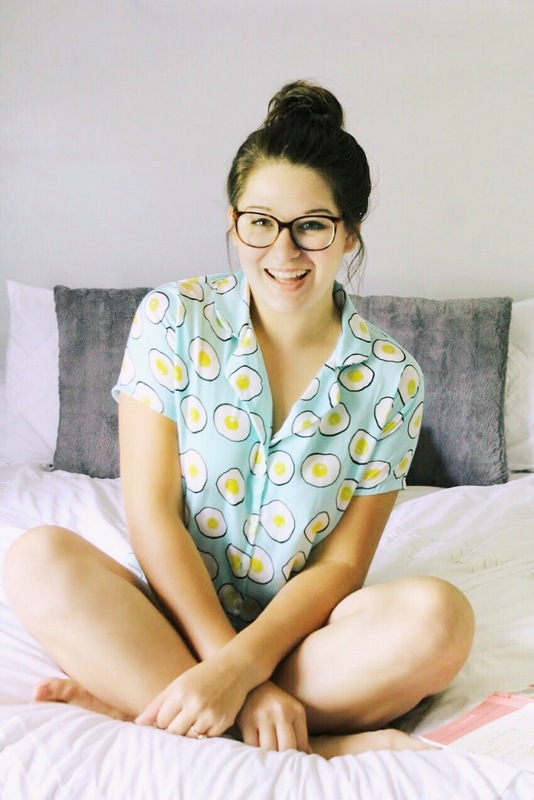 As much as I value the comfort of an old camp t-shirt and sweats, there's just something about a classic, button down pajama shirt that will always make me happy. Add a cute saying or quirky print to the mix and you can really consider me sold! 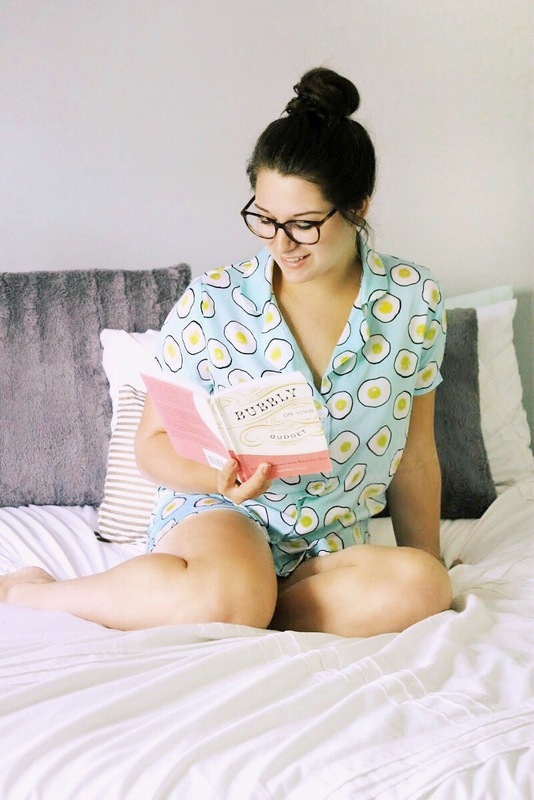 I just love these egg print pajamas from Forever 21 (aff. link) so much. They make waking up in the morning a little more tolerable and are actually pretty comfortable. I went with a medium (which is my regular size at F21) and feel like I have plenty of room. They're silky and comfy and actually wash really well--I haven't noticed any fading or pilling in the material and I wash them on a normal cycle and dry them on low with everything else! 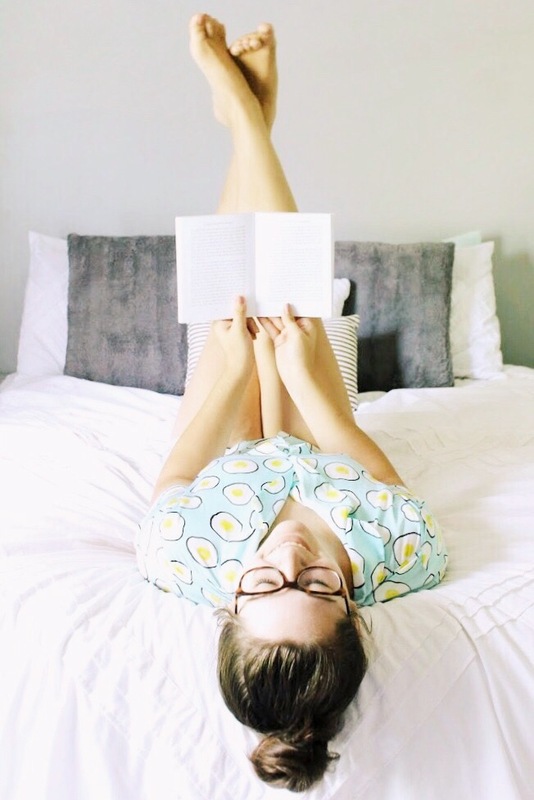 Such a great purchase and under $20, so you totally need a pair (or two)! Same girl! There are so many cute options out there! 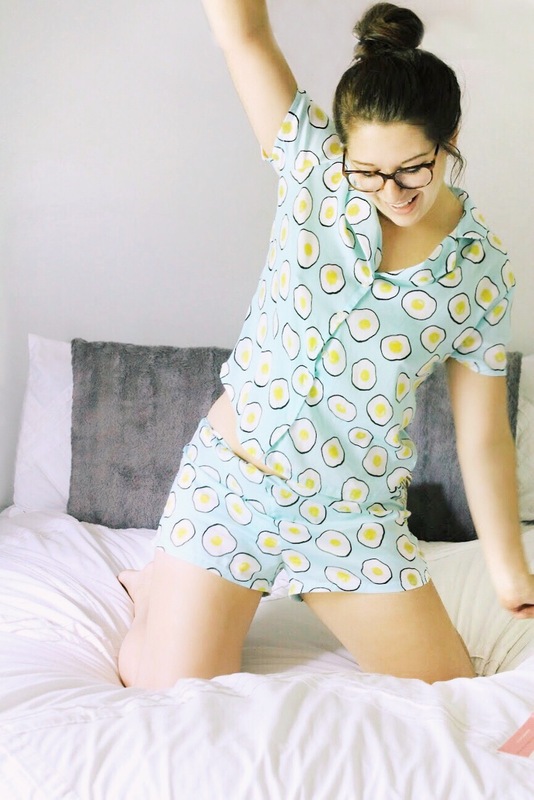 Such cute pjs! They look uber comfy too! You are so cute, girl! I love these pj. I need some cute ones. I will have to order some of these. Thanks, Courtney! I hope you love them! How to Host The Perfect Baby Shower!